Golf is fun at any age! When kids start playing well and shooting lower scores, the game becomes even more enjoyable. 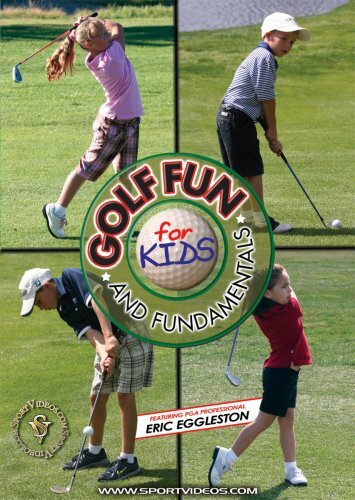 This entertaining and informative DVD introduces children to the basics of golf. Among the topics covered are: rules and etiquette, putting, chipping, pitching, irons and woods. Numerous drills and games are also demonstrated to help make the game fun for kids while developing their skills. This comprehensive program will appeal to parents and young golfers just starting out, as well as those already familiar with the game. About the Coach: Eric Eggleston has been a member of the PGA of America since 1996. He has been the Head Golf Professional at Cree Meadows Country Club in Ruidoso, New Mexico for 11 years. He has served on his PGA sections board of directors as Junior Golf Chairman and has received the Sun Country Section PGA Junior Golf Leader award three times. Eggleston is currently head boys golf coach for Ruidoso High School. 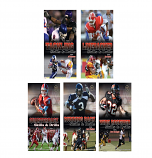 He has been involved with the team for over 11 years and has coached them to 3 state championships.